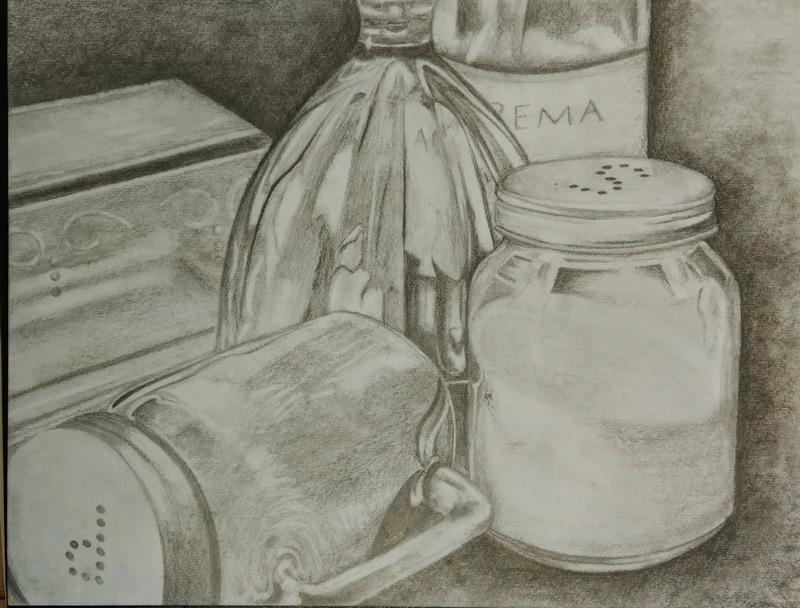 For this breadth piece, I chose to do a pencil drawing of glass bottles that were reflecting the light. I started by getting a light outline down and then put in all the light spot outlines so I would know where to not shade. I then worked my way darker and darker, slowly adding my dark shadow and lines while capturing the bright reflected spots. My favorite bottle is the sugar jar because I loved how I was able to get all the shadow and lights in the lid and in the area directly below the lid. I love drawing reflections because of all the crazy colors you see and the shapes that we wouldn't normally expect to see.